For several months now, we’ve had a fairly unknown section of our site that you’ve potentially never seen before — the Idea Bank. 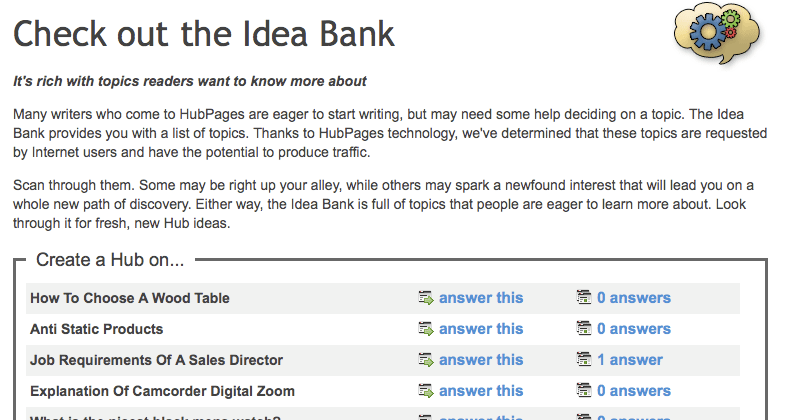 The Idea Bank is a tool that looks somewhat similar to the Requests section, but is actually something that was first added to HubPages for a completely different reason. You see, Requests are various topics that can be answered by writing a Hub, but the topics in the Idea Bank are very-high-probability-of attracting-super-awesome-traffic-if-you-write-a-Hub-about-them topics. In other words, this means that if you write a Hub to answer one of the listed topics over in the Idea Bank, then it has a very, very, very good chance of getting some great traffic once it’s published. Here at HubPages headquarters we use a super-secret method of determining the topics that would give you best overall chance of getting read and then communicate each of them to you via the Idea Bank so that all of you can share in some of success. So, if you’re needing a fresh idea on what to Hub about, be sure to head on over to the Idea Bank and pick off one of topics that are sititng over there waiting to be written about. I mean, we wouldn’t want them to get lonely, now would we? 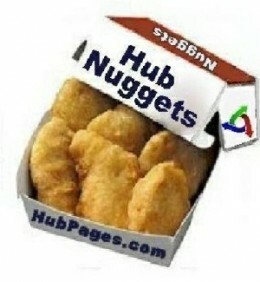 Here at HubPages we love helping people make money by writing about the things they’re passionate about. Whether it’s writing about finding the best travel coffee mug or the fastest 50 cars, you can honestly be successful writing on HubPages as long as you are publishing quality, original and informative content. You publish it and we help you with the rest — because that’s how we roll. If you decide to write on HubPages, there’s a term that you’ll quickly become familiar with because it’s a term that every Hubber loves to talk about. The term is payout and it’s a word that stands for the first time that you officially get paid from Google for writing on HubPages. You see, the number one way to generate earnings on HubPages is by using AdSense, which is Google’s contextual advertising product. Once you set up your Affiliate Settings and start writing Hubs, Google ads will be placed within your content. As you begin to get traffic you’ll also begin to get clicks on your ads, which generate earnings for you as time goes on. Hubs you’re writing and the quality of your writing your payout could even happen in just a few months. As a way to let you know more about how payouts work, when to expect yours and other useful tidbits I’ve decided to interview some Hubbers who have recently received a payout so that we can hear their thoughts on the whole process. 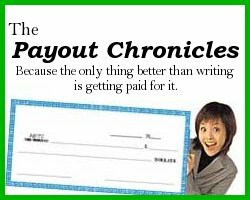 I’m calling these the Payout Chronicles and my first interviewee is Dorsi who told us all about her second official payout the other day over in the Forums. Hey Dorsi, thanks for answering some questions regarding getting your second payout (which is awesome!). For some of the readers out there who might not know what we’re talking about, what exactly does ‘getting your second payout’ mean and why is is so exciting?Good question Ryan. I’ll try to break it down for new hubbers. Getting my 2nd payout means that I am about to get my second check from Google Adsense, which is one of the affiliates that I signed up for when I joined HubPages. Google Adsense is a program run by Google that pairs publishers and ads together. Every time I write a HubPage, Google “scans” my hub to find relevant ads to place on my hub.Take for instance my hub about my dog getting skunked – if you look at the hub you will see a bunch of ads for skunk removal products on there placed by Google advertisers. Whenever a consumer/reader clicks on one of these ads it creates revenue for the publisher, in this case me. And I might mention, Google has strict guidelines in place to avoid abuse, so they monitor your sites for excessive “clicking”. Every author needs to be aware of this. As for my second payout, and why is it exciting? It means I am getting paid to do what I love to do – Write! How cool is that? In the Forum post that you wrote that first let me know about your second payout you mentioned that it took you 10 months to get your first payout, but only 3 months to get your second. Can you explain why the second payout came around so much faster?Well the best way I can explain it is like this: The more you write and the better Google likes your work, the more serious you will be taken. Just like any relationship, it takes time to build. I’m sure Google has some type of algorithm that takes alot of things into mind. Keywords, length of time as a publisher and of course your writing! I’ve heard that 10 months is a pretty typical first time payout, and the longer your hubs are published and gathering traffic and moving up in Googles ranking – the more readers you get – and so on and so forth. Sort of like a snowball effect that gathers momentum as time goes on. I wouldn’t be surprised if I start getting a monthly check from Google now. Writing for 10 months before getting paid doesn’t sound like whole lot of fun, but for some reason you stuck with it and as a result you’re well on your way to getting a payout every single month. What kept you coming back to write when you weren’t getting paid?This is an awesome question Ryan and I am going to love answering this one!! So many people get taken in by ” how to make money online fast” . I believe there is no such thing! If you get those emails in your box just delete them! There are no get rich quick schemes in life – and just like in the outside world, you have to work for what you earn.I have known for along time that writing was my “calling” and I have owned a small business for many years, so I knew that it was going to take time and perseverance to see my writing take root – and I was willing to have patience and just stick it out. So for all you new writers out there- stick with it, write about what you know and love, and don’t give up – it takes time! On average you’ve written about 2 Hubs a week for nearly a year now. Can you tell us a little bit about the importance of consistency and being persistent with your publishing?I would have probably written a lot more Ryan but life got in my way! We closed our business this year so there was a lapse in my writing for about 3 months, but I knew I had to pick myself up, dust myself off and get back to writing! Even when I didn’t have the time to write hubs, I always tried to stay involved here at Hubpages, visiting the forums, updating my hubs, answering comments and supporting other hubbers efforts. Just writing alone isn’t going to make you a successful writer – you need to be involved in the community around you.That also helps the creative process stay fresh – you get support from other hubbers and you get new ideas to write about. Now I write whenever I get a chance, when the dogs aren’t barking, the cats aren’t climbing all over my laptop and especially when my husband is asleep! Writing is like therapy for me! Thanks for answering all of these questions for me, Dorsi! I guess that the only question to ask now is what you’re going to spend the money on? 🙂Hahaha. You are welcome Ryan. I love the HubPages community. There are some awesome people here with lots of knowledge and life experiences to share. I can’t imagine writing anywhere else. As for my big payout……well…..a trip on a cruise boat sounds great but maybe I’ll have to settle for a day trip to Monterey!! And when I start getting a monthly payout, part of it will be going back into my “writing” career – and whatever tools I need to help me write better and be successful at it! In the past, we showed the hub summary for every search (in HubPages terminology, each article written on HubPages is called a “hub”). While the hub summary gives a great, short write up describing the hub, it does not make it clear how a hub matches the search terms. Using Google search as our model, we now show each matching search term in bold letters. We believe that this makes it easier to find the hub that you are looking for and also to refine your search to better find the hub that you are looking for. For people who like to browse hubs, the summary text will still be used. This will be used when a user sorts hubs by Latest, Hot, and Best and it will be used when a user lists hubs by tag. 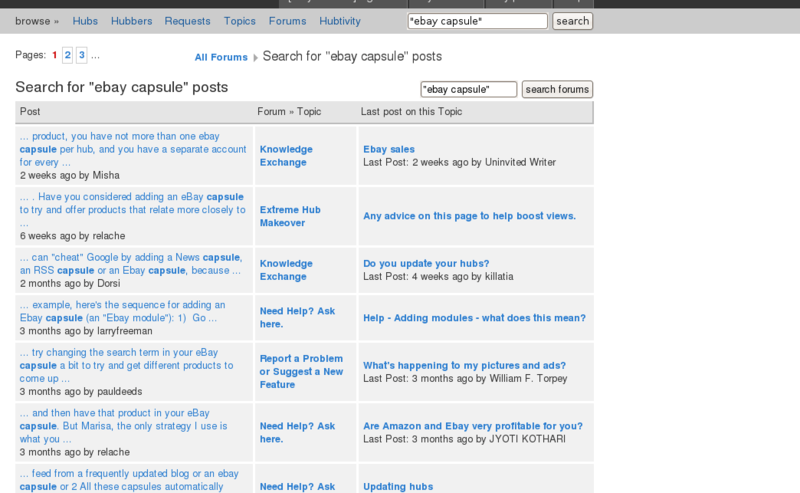 Now, on HubPages, you can do a search for an exact phrase ebay capsule by putting the search terms in quotes: “ebay capsule”. Without quotes, the search will return any article that contains both terms independent of distance and order. But like the Google search functionality, why not have the choice. For example, if you want to find all hubs related to Alice in Wonderland without gettings all the hubs related just to Alice, then you would enter for your search “Alice in Wonderland” (in quotes). We’ve also added the ability to exclude terms from the search results. Many words have alternate spelling in British English versus American English. To make search as intuitive as possible, we’ve made it so that you can search in either American English or British English and you will get the same result. Every once in a while someone includes common words without thinking about it. If not automatically ignored, common words can needlessly slow down a search since they are pretty much found in every hub. We’ve set up the HubPages search to ignore common words. The General Hub Search is perhaps the most prominent search on HubPages. In the past, when you entered a search only terms with at least three letters were used. 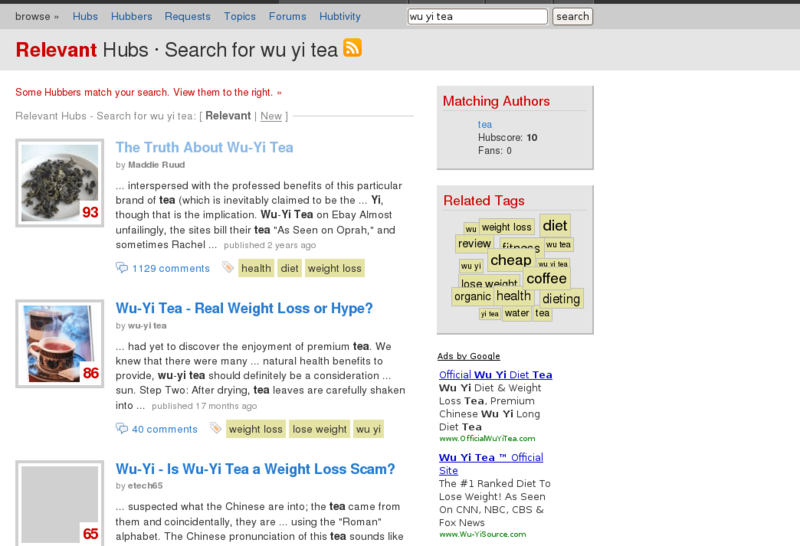 For example, if you wanted to look for articles on wu yi tea, you would find a list of hubs based on the search term tea. Then, you would browse through the list of summaries. If the summary or title included the search term, that was fine but often, it was not clear how the hub listed matched the search terms. Additionally, the quality of the hub was not a factor in the ordering of search results. A hub with a score of 50 might very well get listed before a hub with a score of 99. We’ve also upgraded the author hub search. This is a search that is done from an author’s profile page. Below an author’s image, there is a search box with two buttons: Search Text and Search by Tag. The Search Text button results in a search across all of an author’s hubs. You search in exactly the same way as the general hub search and the results show excerpts with the matching search terms in bold. Below is a sample search done on Ryan “Hup” Hupfer’s profile for a hub on jelly beans. HubPages has long had its own version of Yahoo! Answers. 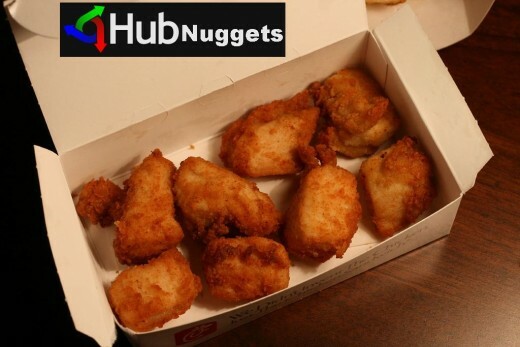 At HubPages, we call the questions, “Requests” and the answers are themselves hubs. In this way hubbers (HubPages term for authors who write hubs) can look through the requests and decide which ones to answer or take a look at the answers given. In the old version of the request search, you might get as your first result that was over 2 years old. This first result might have 0 answers or it might have 10 answers. The search by relevance was done solely in terms of word matching and it ignored factors of recency and the answer count. We’ve also made it so that each search automatically gets added to the hub search box. In this way, you can also do a hub search with the same search term. There are three major differences in the new forum search that we hope that you will notice. First, the excerpt in the results shows the bolded, matching search terms (just like the Hub Search and the Author Search). Second, the search results come back faster and we believe that the results are now a better match with your search terms. Third, the hub search box is automatically populated with the same search terms in case you would like to do general hub search with the same words. The HubPages staff been very impressed with the Sphinx Search technology. As a result, we are planning to roll out additional search features over the upcoming months. We are planning to have a HubPages-wide search across articles, forums, profiles, etc. with the ability to limit which sections that you are interested in. 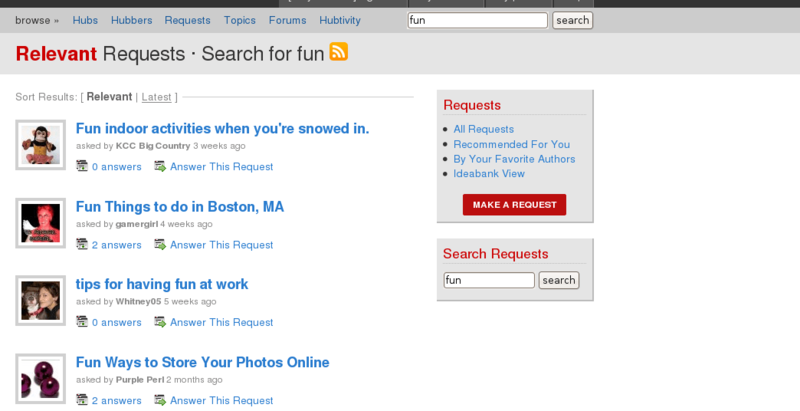 For example, you could limit your search to hubs with images, RSS, video, etc. We are very excited about the new search features. We hope that you are too. One Major Milestone — 1,000,000 Hub Views! Apparently one of our Hubber’s named Honey hit one serious Milestone — one million Hub views! This is some serious traffic and an awesome accomplishment. Also for your reading pleasure, I want to introduce you to foxility, a Hubber that’s cranked out 24 Hubs in the past 2 months and that has an interesting take on living in the US after growing up in Tijuana, Mexico. 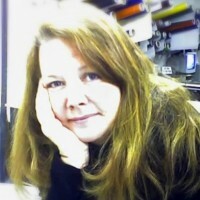 She was answered some great questions that were asked by Tom Rubenoff in our installment of Hubber2Hubber this week. I’ll tease you with one of the questions that she answered below and feel free to check out the entire interview over in the HubPages newsletter archive. How did you conceive of “Diary of Lola the Mexican” and who is Lola? I have a sort of alter-ego called Lola. I came up with Lola after I moved to a very conservative town in the Northeast part of the States. This place is completely different than I am, so in order to fit in I had to invent a more composed character. I told my husband that I was now Lola and so I write about my life but through Lola’s serene mind. A few weeks ago, we announced that categories were coming to HubPages. We were delightfully surprised by the strong, positive response. If you click on the announcement link, you can see the discussion that occurred. You can also click on any of the categories (such as “Arts & Crafts”) to see the subcategories proposed and the comments we received. I thought that it would be valuable to address the questions and concerns in today’s blog. When will the categories officially launch? This week. Possibly tonight. There will be an announcement when they go out. When you go to “My Account”, you will see a “Categories” link. Can a hub be in more than one category and/or subcategory? Will we have to go back and add all the current hubs to these categories? We will be providing tools to help categorize existing hubs. We are trying to make it as painless as possible. We hope everyone will want to categorize because like tagging it will help improve traffic to your hub. Other web sites have categories and it gets frustrating when no category fits. If you have to email and wait, it can be frustrating. Categories are not perfect. You still have tagging available if the categories don’t work. We have over 6000 categories available on the first release and we will add more as needed. Can we have a Miscellaneous or Other top level category? From my view, this would defeat our purpose of using categories. The goal is to make it as easy as possible for visitors to find your exact hub. Miscellaneous or Other would really be the same as an uncategorized hub. Categories can slow things down. We used categories at another web site and there were never enough categories and it got frustrating because it was not always clear which was the right category to use. We are aware of this experience on other category sites. We have tried to make it as easy as possible to select the right category. You can change it at any time. We will have a tool that makes suggestions on categories. We have tried very hard to pick the right categories. We’ll see how we did. Don’t tags make categories irrelevant. We started HubPages with tags only. Based on this experience, we believe that categories are needed too. I’ve already written on this topic in a previous blog. Can HubPages have a Photo Gallery category so that photo hubs don’t get mixed up with articles? Yes. We have a Photos & Videos category in Entertainment for this purpose. I love writing on a special topic which I do not yet find in your categories. Are you open to adding it? Absolutely. Please post any questions that you have to the forums. We’ll help you find a category that works. If none of the existing categories work, we’re open to adding more categories. You can always change the category later. So, what are the planned top level categories? Thanks to everyone who provided feedback and comments. Every Wednesday I put together our super-sweet email newsletter and send it out to thousands of Hubbers — some of them who see it and I’m sure that some of them who don’t. Now I may have a biased opinion on the matter, but I feel that the newsletter is packed with some really interesting stuff, including 2 of my favorite things to check out each week: the Weekly HubNuggets and the Hubber2Hubber interview. The other newsletter feature that I’d like to post here each week is the Hubber2Hubber interview where, surprisingly enough, one Hubber writes up some interview questions for another Hubber of their choice. The interviews are usually 8-10 questions long and the really cool part is that the interview is written by a friend/fan of the Hubber that’s answering them, which makes them really interesting and original every single time. I’m going to start posting links to these Hubber2Hubber interviews each week as well so that more people out here on these internets can check ’em out. How would you describe yourself, without using labels or titles? I am five feet six inches tall, and I weigh one hundred fifty pounds give or take. Though open and welcoming, I have only a few close friends whom I treasure. I am good in conversations involving three people or less; larger groups, parties, not so much. There are a few subjects that I know a lot about and a lot of subjects I know a little about, so I am often an advisor or confidante. How did you get started as a writer, and on HubPages? 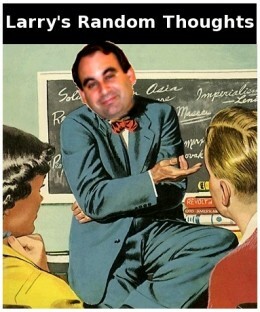 I believe I conceived my first short fiction while on my way to elementary school. It was so good I fell of my dinosaur! My first poem was written at a tender age as well. 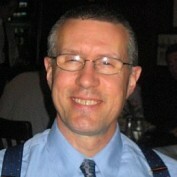 Enjoying the praise showered upon my written assignments I strove to make them better and better, and so I was hooked. I forget now how I got started on HubPages because remembering things is no longer my strong suit. I think I Googled something and ended up on somebody’s page. I was intrigued, and well, you know, curiosity killed the cat. You can check out the rest of the interview over here in the HubPages newsletter archive. 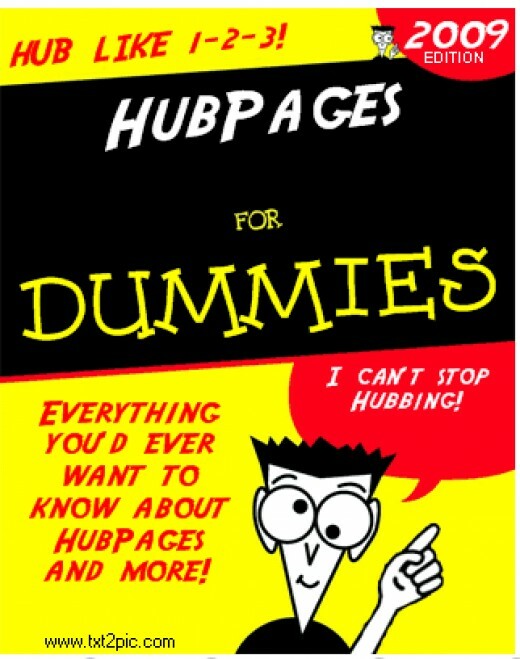 New HubPages Guide Coming Soon! The past few weeks I have been hard at work (and hard at focusing) on writing a new, full-blown HubPages Guide that is far and beyond anything that we have ever had before. I’m super excited to get it all completely finished and posted up live on HubPages so that everyone can use it as a resource whenever they have questions about how the many different things work around this little online playground of ours. Up until now we’ve relied on our trusty, yet somewhat limited Help/FAQ section, but now it’s time for a major upgrade. Of course, I can’t take full credit for the soon-to-be-released masterpiece of HubPages awesomeness — I had some serious help from a few very willing Hubbers. So, to gamergirl, Whitney05 and jimmythejock I say thank you for being such helpful Hubbers and may your names forever be remembered in the HubPages history books (or at least somewhere in our new guide). Keep an eye out for the new HubPages Guide and once you get a chance to check it out, I’d love to hear what you think about it. I think that it’s going to be a great way to get Hubbers up and running even quicker and better than ever. But, of course, only time will tell.